If you want premium placement for your ad in DOTmed’s 2018 Buyer’s Guide, don’t delay. Those pages will be sold on a first-come, first-served basis. Learn more. 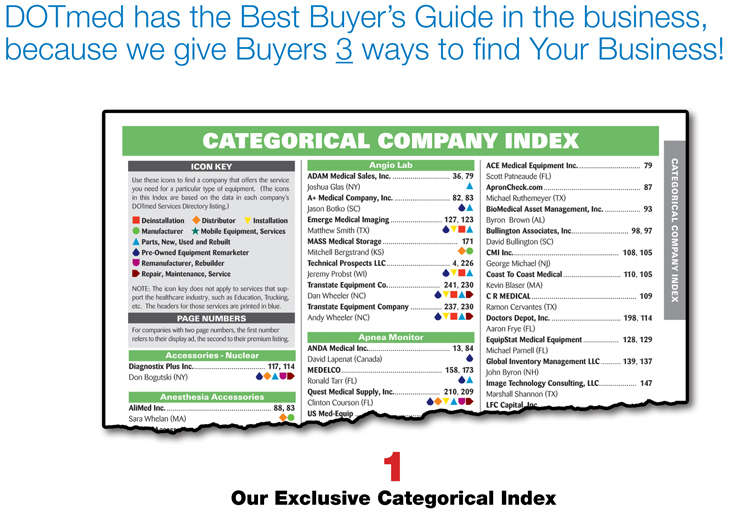 Featuring our Find-it-Fast Categorical Index that brings you more business! 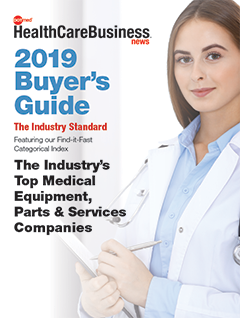 DOTmed's 2019 Buyer's Guide will continue to be the leader because our highly targeted Categorical Index makes it easy for customers to find you fast. 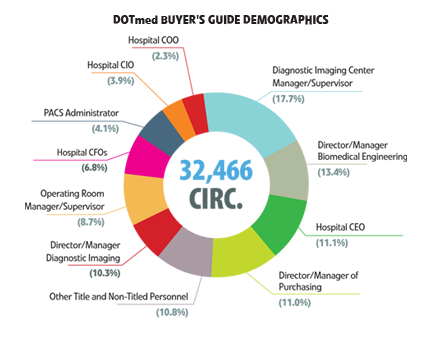 Over 32,000 copies of DOTmed's Buyer's Guide will be mailed to hospitals, imaging centers, surgery centers, clinics, ISOs, and other healthcare businesses, reaching the industry's key decision-makers, influencers, and buyers. All 1,200+ Upgraded DOTmed Sellers receive the Buyer's Guide yearly. FREE ONLINE BONUS! The Buyer's Guide will be online all year on DOTmed.com. 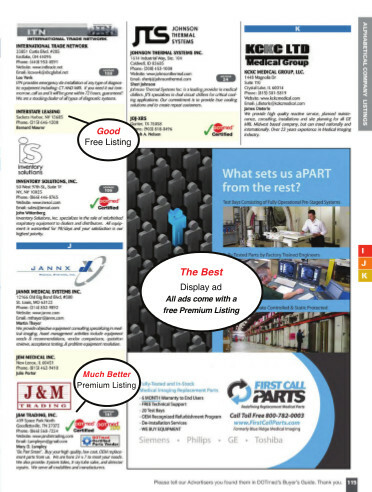 Choose from our "Good-Better-Best" Advertising Options. Ads within first 20 pages, and within the Categorical Index are: $1,499 — full page ads only. and a free Premium Listing! First-come, first served. There will be a limited number of free 4-line listings allocated for 2019, and DOTmed reserves the right to cut-off acceptance at any time. Click here to submit a Free Listing. You must act fast! Better yet, buy a Premium Listing or Display Ad and be guaranteed a spot! All Premium Listings get Your Company cross-referenced in the Categorical, by Company, and by Name Indexes of the Buyer's Guide - three valuable bonuses! IMPORTANT: Your Company Profile and Categorical Listing choices will be pulled from your DOTmed Account – so make sure it’s up-to-date! DO IT NOW. All Display Ads also give you multiple Categorical Listings — depending on ad size, plus listings in both Alphabetical Indexes. Companies with Display Ads and Premium Listings can be listed in up to 10 (or more!) different categories. The Icon Key shows the services you provide for each modality. Your Display Ad (if purchased) is listed first, your Premium Listing, second. Your Company's primary contact name, and the state you are in, are also included. Customers who know your Company Name will find you fast here. Customers who know Your Name will find you fast here. The 2019 Buyer’s Guide will be emailed to over 32,500 DOTmed users and housed online in a dynamic, flip-page book viewer. Your Display Ad in the online interactive Buyer’s Guide will feature live links to your website and/or your email address, if you include them in your ad.